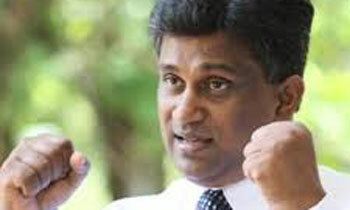 Based on a survey conducted by the UNP, the party is confident of winning 276 out of the 341 local government bodies at the February 10 polls, Deputy Minister Ajith P. Perera said yesterday. He said the survey also indicated that the TNA would win 51 local government bodies in the North and East. The deputy minister told the media that the UNP’s grassroots level organizations were functioning at their best and would help secure an overwhelming victory for the party. “The grassroots level preparation for the election by the SLFP and the SLPP is week and disorganized while we have launched an aggressive and successful election propaganda campaign at ground level. The other political parties lack that advantage and thus our victory on February 10 is assured,” he said. The deputy minister said reforms were introduced to the LG electoral system, despite protests by other political parties and this had resulted in the entire country enjoying its benefits. "There are no reports of violence, no wasteful expenditure, no posters and cutouts, no polythene no intra-party or inter-party rivalry during the election campaigns. This is the best outcome of the new electoral system and the UNP must get the credit," he said. The deputy minister said those harsh recommendations can also be applied to all members of the Rajapaksa family -- Gotabaya, Basil, Namal, Yoshitha and other SLPP members who have been brought before the law for multiple of crimes such as Gammanpila, Mahinda Yapa, Aluthgamage, Johnston and several others. Confidence is one thing, winning is another! Wait till the elections are over and talk big!! You must be kidding. Do not assume people are so naive give you a mandate to destroy our motherland. Who did the survey? Sirikotha? Did you take your pills today Ajith? You have really let your imagination run riot. This is wishful thinking that will never see the light of day. You have confused winning and losing. Ajith, we are not interested in your organizational capabilities. We want to know what you have done to our country. Did you think people are idiots like you. One lesson you politicians must learn is never tell lies. Time is up to pack your bags . If the UNP does not win the majority of councils poonach should be fed. PLEASE PUT YOUR HANDS DOWN BEFORE TALKING NONSENSE, YOU LOOK LIKE A MAD MAN. Hey Ajith the biggest problem with UNP these days is Way too many Clowns and Jokers in the Party, like you!!! These are the people who run our country. Even when you are lying be practical. Any idiot can understand that getting a majority with the current conditions is highly challenging. But this man says that they can get over 80%. Ajit is day dreaming. UNP should be sent home. Here as you say most of the comments may be JO. But at polls so may be votes..the JO and JVP will steel most of the votes while the UNP is living in fantacy. You might day dreaming Bro!!! UNP winning majority of Local bodies will think no end of themselves, and will take an upper hand in everything, not to mention Bribery and Corruption. The same goes to SLFP the party led by MS. On the other hand MR's party SLPP will be cautious and would try to rope in MS and the SLFP to make themselves stronger for the future. So we have a local Mohammed Ali. Always throwing his fists all around. Bloody fool. AJITH - Dont predict the unpredictable ! . Win for what? ?.won and passed 3 years nothing did.economic growth below war time.stolen billions still with thieves.protest votes make communist win government 2020. AJITH p - Dont have over expectations of the outcome of the results .